I really love this hoodie, super soft. Only complaints are the smell, it smells like chemicals sort of, I’m scared to wash it because I don’t want it get all matted. & the band at the bottom is a little awkward looking. I’ll probably just wear this as a lounge hoodie so I can’t complain. I would also recommend sizing up for a comfier feel! I love this hoodie! It is so cozy. I have barely taken it off since I bought it. So comfy and warm to wear around the house and looks great when I'm dressed to go out too. I am happy that this jacket is adorable and so soft. It really looks exactly like what I wanted. Get one, you won't be disappointed. 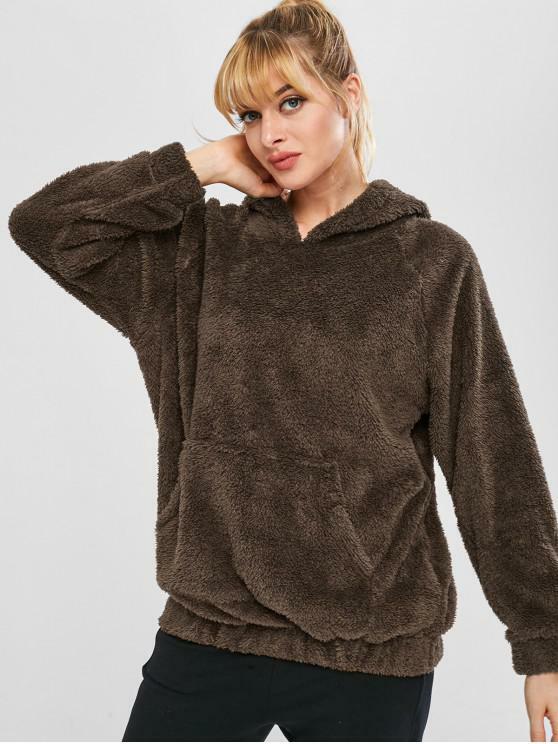 This teddy hoodie is the pinnacle of comfort. I bought this in Coffee . The color is very close to what's in the photo.